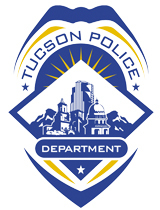 / Modified jul 30, 2015 5:07 p.m.
African Americans receive a disproportionately high number of traffic tickets in Tucson compared to the proportion of the city's black population, a report from the Tucson Police Department found. The report also shows Hispanic, Asian, American Indian and Middle Eastern drivers received traffic tickets at a rate slightly less than the percentage of each ethnicity’s population in Tucson. The report collected data from July 2014 through May 2015. For non-Hispanic whites, the breakdown of traffic citations is nearly equal with population. Caucasians make up 45 percent of Tucson residents. They received 44.5 percent of traffic tickets. There's a noticeable disparity for black drivers, who received 6.5 percent of all traffic citations, but account for 4.9 percent of the city’s residents. John Leavitt is an Assistant Chief with the TPD. He said one reason for the difference is that higher reports of crime come from neighborhoods with lower-incomes, a problem which overwhelmingly affects minority populations in the U.S.
“When we’re [Tucson police] there and we’re using enforcement strategies to reduce drug problems, to reduce crime problems, [then] it’s no question that citations are one of the tools that we use," Leavitt said. "And so in the process of trying to solve problems in those neighborhoods there’s no question that we stop people of color more often." Leavitt said the police department will continue gathering data on traffic citations in order to look for racial disparities in enforcement over a longer span of time. The population report uses data from the U.S. Census.